Marcus Campbell’s Blog Profit Network Overview: Legit or Not? 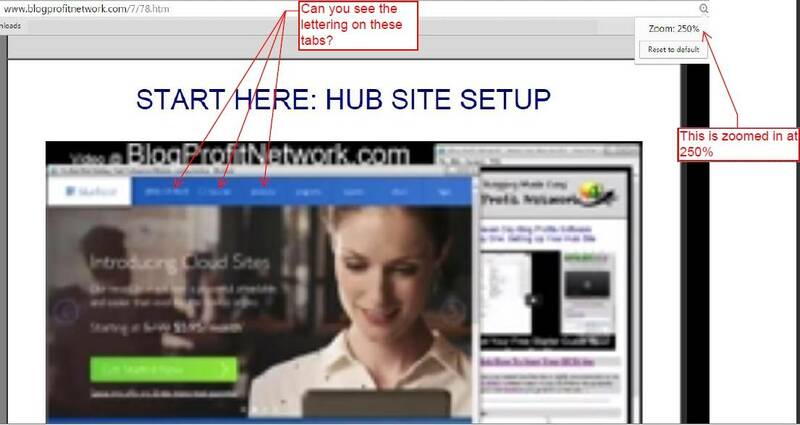 Marcus Campbell says his Blog Profit Network training course will save you time and money, providing you the missing pieces to, finally, start making money online. Marcus Campbell also promises to give you loads of free content, helping you find and use what you’ve been leaving out. Marcus also says you can start an internet business with less than $100 if you invest in yourself and the knowledge you need to get started. He promised there’d be no hidden fees in his program in which he’d show you how to find a niche that isn’t over-saturated and how to get paid. He says anyone can do this. Even those who’re not Internet or tech savvy and those who don’t have much time. Please refer to the sales page via the link above to see these promises yourself. 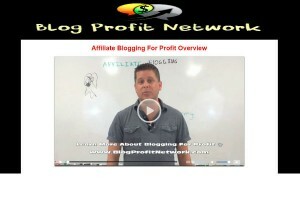 For the record, I’m not an affiliate of Blog Profit Network. I’m just trying to safeguard online opportunity seekers like you, by my objective reviews, from wasting money and time on broken products that’ll leave you frustrated. Marcus Campbell can help a certain category of people make money online and cause some other class of people to lose money online. Which of these classes of people you belong to and whether or not you’ll be able to make money online, using this product, will be clear to you at the end of this review. 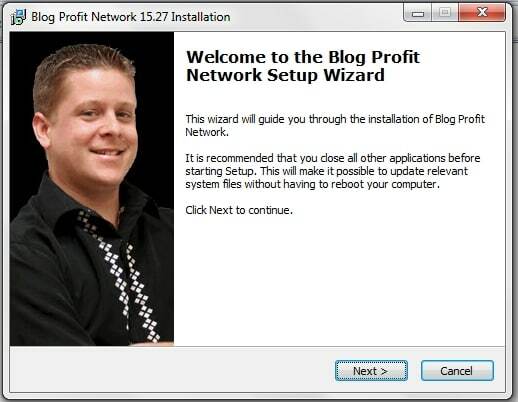 Marcus Campbell’s Blog Profit Network depends heavily on a software that customers are expected to download, install and use as part of the training course. This software flat out doesn’t work. I downloaded it and tried to install it, but it just wouldn’t install without errors. So, I clicked retry, but the same error message popped up, which left me with two options, namely ignore and abort. So, I clicked ignore, as I wanted the software installation to go through and not get canceled. On a second thought, I decided to try downloading the software again, in case something was wrong with the first download. Then, I went to the control panel of my laptop and uninstalled the software, restarted my laptop and reinstalled the software. However, the result was pretty much the same. So, I decided to proceed with using the software as is. 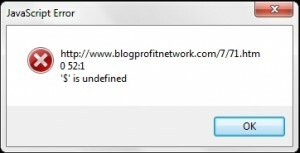 This time the error message was different. It read, “http://www.blogprofitnetwok.com/7/71.htm 0 52:1 ‘$’ is undefined.” Then, I thought, “Oh crap! This is it” but I was wrong. The software opened up with an interface after I clicked the ok button on the error window. So, I decided to explore it a bit. On it, Marcus Campbell still tries to market a new domain name service through an affiliate link. 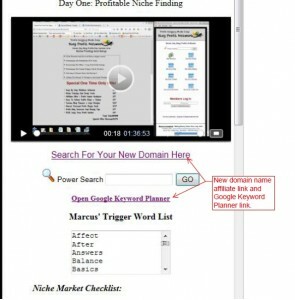 Another link that read, “Open Google Keyword Planner” caught my attention. However, there was a dropdown menu where customer support category was to be specified. I’ve never seen such a customer support category dropdown menu. It had only one option on its list, namely “Niche Domain Request”. At every turn, Marcus tries to draw your attention to one of his personal, money-generating affiliate links. He even tries to sell you a new web hosting service. 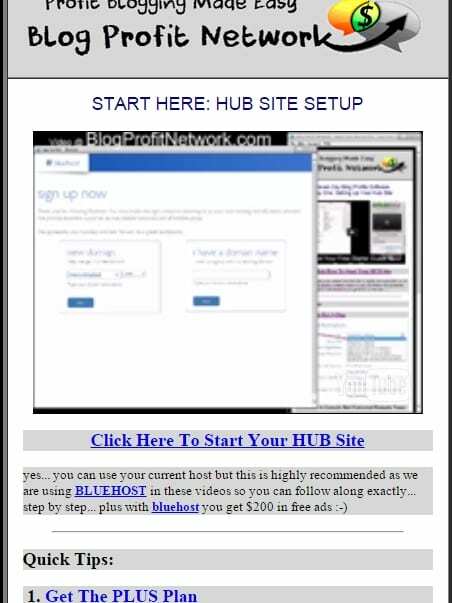 He says that even if you have an existing hosting service, he highly recommends Bluehost’s hosting service to enable you follow his tutorial video without hitches. This is his way of creating a long-term income stream for himself, which is not a horrible thing per se. But when an internet marketer does this sort of thing repeatedly and without adding much value to the customer, it only means one thing, which is that they don’t care about anything or anyone but personal financial gain. Enough digression, let’s return to the software. Marcus is a honest man in certain respects. He admits he doesn’t trust his software, and that it is unreliable. Yet, your success with Blog Profit Network seems to depend on this broken software. The video quality of Marcus Campbell’s video tutorials is so poor that each time I watch them I squint to see the pointer/cursor of his mouse as he clicks around, demonstrating one thing or the other. At a point, I had to zoom my screen to 250% to enable me see the lettering on the tabs of a sight he was treating in one of his tutorials. Even after zooming to that extent, all I could see where blurs. 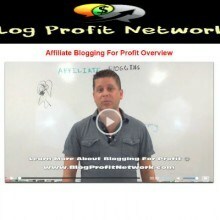 Marcus Campbell sells his Blog Profit Network for $127. For a product this poor, $127 is an outrage. That’s not all. You’re required to pay $37 per month till you cancel. Marcus may have had some good, newbie-friendly products in the past but, I’m afraid, this is not one of them. If you haven’t figured out what category of people can make money with this, I’ll tell you straight on. It’s Marcus Campbell and the owners of the products he’s promoting to you, as an affiliate, that can make money with this. Take my advice, stay away from this product if you’re looking to learn how to make money online. Have you had an experience with this product already? Tell me about it. A lot of people will benefit from the information you may share, whether negative or positive. 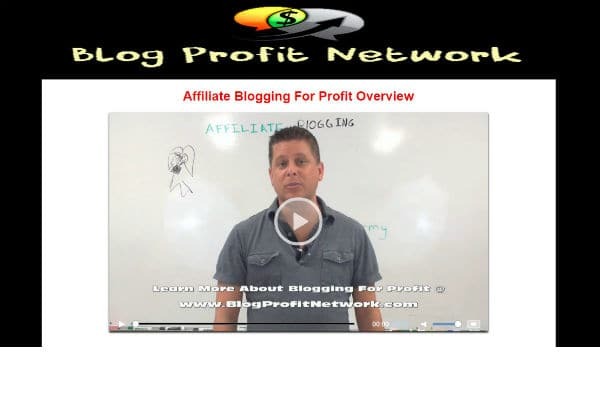 If you’re looking to buy Blog Profit Network and have questions, go ahead and ask them below. Jules Camber’s Get Paid to Draw Review: Can It Make You a Money-Making Artist? 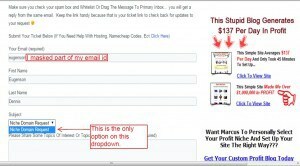 Tyler Pratt’s Daily CPA Cash Review: Can It Make You $9,429? Eugenson is just a regular guy, except he doesn't believe in the security of nine-to-five jobs and loves to launch out on his own, trying to realize his dreams his way and at his time. He's tried to make money online for quite some time now, purchasing product after product, and has been swindled by a lot of cyber-fraudsters masquerading as make-money-online messiahs. He has many passions, some of which include drawing, painting, writing, and watching comic movies. He's on a revenge mission to hit fiendish scammers hard by writing reviews that reveal the truth about their unethical schemes and worthless products. He hopes to stifle their online, bloodsucking businesses by forewarning their potential victims and depriving them of the payments they depend on. You can consider Eugenson a friend who's here to give you objective product reviews, helping you uncover the online vampires and discover genuine opportunities. funny thing about this review… its all about the software and not the value of the training provided. while it is true that some people have issues with the software… the software is not needed to access the training… we have an online version. also… each video can be brought up in full screen by simply clicking the little link in the bottom right corner. so the issue of small videos is not really an issue as they are shot in better than hd quality. its also funny how the reviewer is complaining about using affiliate links in the product… because the reviewer above actually ordered thru his own clickbank link and refunded just a day later. i hardly call that an honest review. i’ve known the owner of this site a while and hes a great guy… but this is not a fair review. Hey Marcus! Thanks for stopping by. It’s been a long time. I think the software issue is bigger than you’re making it out to be in this comment. When charging this much for a product, there should be a very small incidence rate and customers should be able to access 100% of the product they’ve paid for. 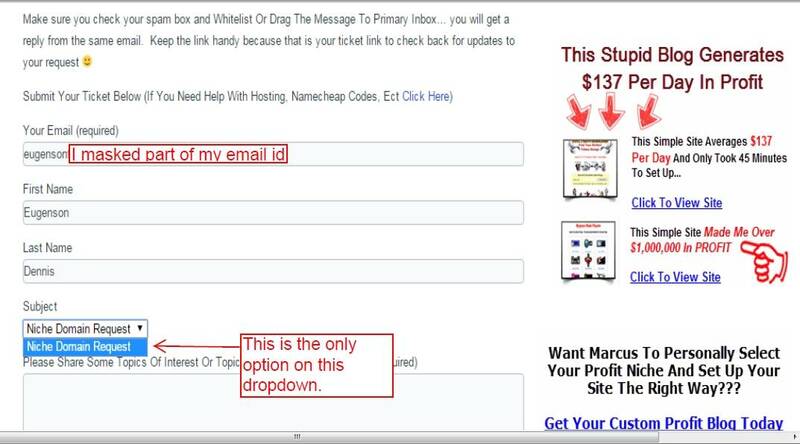 I stopped promoting Simple Sites Big Profits several years ago because the product dropped in quality and the support become very, very poor (which my referrals frequently complained about and you repeatedly promised to fix, but that fix never came even after several months of saying a better system was being put in place). Also, there’s no problem at all with affiliate links as long as they truly add value to your customer’s experience and business. Many of these recommendations aren’t necessary. I have a huge amount of respect for you and will always consider you a great person based on our interactions together over the years, but from what Eugenson found when he reviewed your product, there are significantly better products out there at our below this price point that people would be better off purchasing. If you’re confident that we called this one wrong (outside of the problems with the software/videos) and you have really beneficial, up-to-date training, please email me and I will personally correct the review to reflect the positives of your product. can you shoot me an email so i have the proper address. ill send you the updated simple sites for review… the 2015 version is really cool. 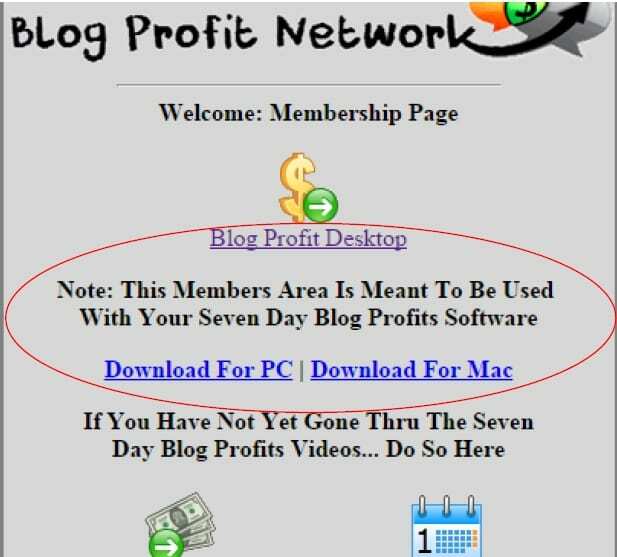 as well as blog profit… i think you will find that our training (even in the 7 day free version) is better than some charge for: http://blogprofitnetwork.com/?p=1270 that is a link to the replays… we just shot them a month ago. as far as the rest… ill get that over as soon as i get the email from you. So glad I found your site. I do hope my post is accepted. I purchased Blog Profit Networks from Marcus on October 11, 2015. I paid $127.00 for it. As of today October 13, 2015 I have not been able to access the member’s area or download the software. I received two receipts from Marcus, each for $127.00, each receipt had different “letterheads” on it, one from Affiliate Dude and one from Small Site, Big Profits. I have emailed their customer support twice requesting a password and to tell them that Norton Internet Security will not allow me to download the software, because they see it as a threat and immediately remove it from my pc. As of yet I have not received a reply. I have emailed Marcus at his personal email address indicating my issue, no response, I have called him at 707-450-1194, the number given, in his emails, no response. I made the purchase thru an link in an email from Offer Vault. I have emailed Offer Vault twice since October 11th, no response as of yet. Today, October 13, 2015 I have sent another email to Marcus and Offer Vault asking for a refund. Of course I have not yet received a response. Either I am unknowingly invisible or I have have been had. The jury is still out. I have been in touch with my credit card company and yes, the debit in there, but still no access to the member’s area or a clean download. The dates of the above comments caught my attention, October 11th, that is the same date I made this purchase, and it informs me that the man is still alive and may eventually reply to my request. So far, in this debacle I have accomplished nothing, received nothing and I am still out $127.00. My hope is someone will see this and respond. Please feel free to contact me at the above listed email address. Grateful for your site Mr. Ian P. Thank you. Hey, Lyn! I’m sorry you’re having so much trouble getting in touch with Marcus. In my past experiences, he will get back to you sooner or later (I don’t think he’ll just blow you off – he’s not that kind of guy) but it may take some time. 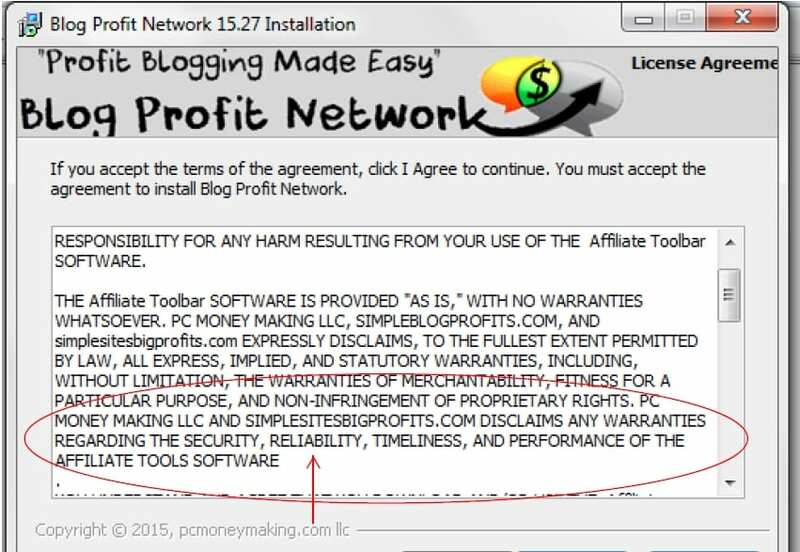 In the meantime, if you want to request a refund through Clickbank (the marketplace that Blog Profit Network is sold on) you can do so by following these instructions. I hope that helps – please update us if/when Marcus gets in touch! 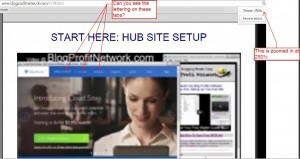 I wanted to give you a quick follow up on my journey with Blog Profits Networks. I had mentioned earlier that Norton Internet Security would not permit me to download the product. In the interest of honesty I want to show you all what Norton is telling me. As you can see Norton considers this product a “mid-level” risk. And they immediately removed it from my pc. As mentioned above I made this purchase through Offer Vault. I have twice requested a refund, as of this date no reply. I made a final request for a refund to Mr. Campbell on Friday, October 16, 2015. On Monday, October 19, 2015 I will be opening a dispute claim with my credit card company. I am grateful to stoppingscams.com for providing an outlet where I can express my frustration with these folks. Thank you so much. I know this is an old review, but I’d just like to add to your experiences as I’ve had similar. I’ve found Marcus to be very snappy and rude on occasion, not someone I’d like to learn from. Hope you got your issues resolved. My money is better spent elsewhere. There are a handful of good ones out there. I’d recommend starting off with my 100% free training and going from there if you decide affiliate marketing is something you want to pursue. I caught recent video tutorials by Marcus Campbell on YouTube and decided to use google to find reviews of Marcus Campbell product(s). The reviews I have found here, at this time, leave me to not jump into anything with this enterprise. The jury is still out, but one becomes more skeptical after reading this post and succeeding comments. If I come up with more info positive or negative, I will follow up here. Thank you all. 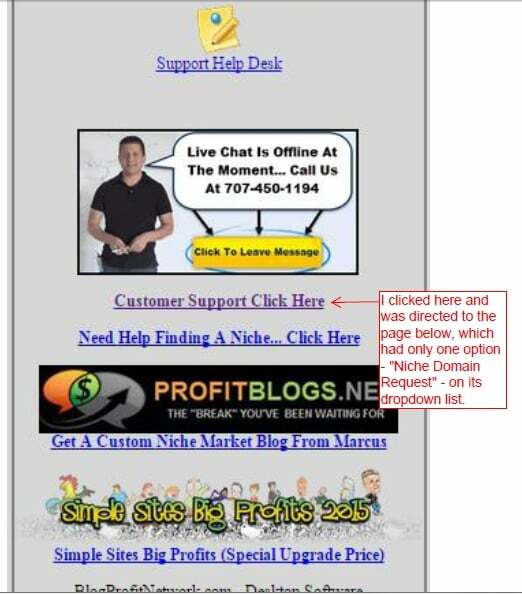 I started out doing internet marketing with marcus Campbell’s seven day blog profit free version. After listening to him explain about affiliate marketing it all seem to make a lot of sense. So I decided to download the software to my computer and when I did I got all kind of malware and bugs all over my computer but thanks to the good security I have in place it got rid of them as soon as they were unleashed onto my computer. I decided to let that go and continued with Marcus’s system which seemed to make a lot of sense. I decided to purchase the simple sites big profits thinking once I would spend so money on the system I would not have any problems but low and behold I was wrong. I would constantly submit support tickets about plugins not working, about videos not working and waiting for days to get a response from support and when they responded they said they would fix it but never would. Till this day after paying for the system 6 months ago I c cannot login and watch not one video training and if you download a plugin its not gonna work anyway. I have found a way much better and much cheaper affiliate training in Wealthy Affiliate. I wish I had of found them first, I would have saved time and money. Just wondering Chris about why you opted not to pursue this program. I too am considering it. Please provide your reason, as Marcus appears to be a very genuine person, who wants to help people, and was working in corporate America prior to becoming an internet marketer. I purchased a product from Marcus a couple of years ago. There was never a single response to my questions. My refund happened only after I contacted the person who was building a site for me did it for me. I would NEVER recommend Marcus. MARCUS CAMPBELL IS A HEARTLESS SCAMMER.HE COONED ME OUT OF $1100 . STAY AWAY FROM THIS THIEF. I saw his weird looking payment page. Only a fool would put his/her card details into that form. It’s very convenient that Marcus doesn’t use a trusted payment handler, like Stripe, Paypal, etc. where you can file a dispute. No Marcus takes your card details and most likely stores them on his computer. I also bought a High Ticket Niche. I waited for 3 months and didn’t get what was advertised. He never provided me with a traffic plan or what kind of affiliate offers to link to. The simple sites course (also included with the high ticket niche) was missing over 1/2 the videos. Marcus agreed to refund me but said I had to wait 6 months. After the date arrived he said he had to figure out a way to refund me due to accounting reasons. He strung me along for another 2 months in back and forth messages and NEVER gave me the refund he promised. He even went as far as taking my bank information because he promised a bank wire as a way to refund me. He’s selling an incomplete course and is not a person of his word! What kind of person treats others this way? To promise me something and then lie and string me along for months never to deliver on what he told me. DO NOT ORDER HIS COURSE, you’ll regret it. Fortunately I disputed my credit card charge with Chase Bank and they granted me my full refund. Because so much time had passed since my purchase I didn’t think they would accept my dispute but they did. I encourage anyone else to do the same. Marcus is a cool guy in the affiliate industry, but his sloppy work will make you run away from him. I knew Marcus from the YouTube channel, and I do learn a lot affiliate marketing knowledge from him. This is why I decide to support his course and services by purchase them. At the beginning, the course is awesome. I create my first website with some affiliate offer. Unfortunately, it didn’t work out with conversion easily. After a long discussion with Marcus, he simply replies to me said, it just a wrong niche. Com on, I heard that term long enough since I was doing Shopify dropship. Anyway, the story continues. I decided to give his High Ticket Niches a try. This is ready to run business model Marcus push in the courses. I expect it will be better luck by having a ready to go affiliate website done by the pro. The service state to be ready in 3 weeks, but I did not see a single article post after 30 days. The topic of the article Marcus pick was so bad. I can tell right away. The people in this niche will not buy from them. After the long conversation with his assistance Alyssa, she doesn’t have any authority to make thing better. I am hitting my limit of being patient enough by waiting 3 months after theconversation. I decide to go direct with Marcus, but his schedule is super hard to find he online. I even saw him drop offline in front my eyes when I try to createa conversation with him. It is harsh for me to write this report I hope my story can give people second through before purchase High Ticket Niche from Marcus. The whole thing is just getting bad so quickly after I ran out of the patient.